It can be served with chapati or with Rice. This recipie will serve four. Fry out this paste along with onion. 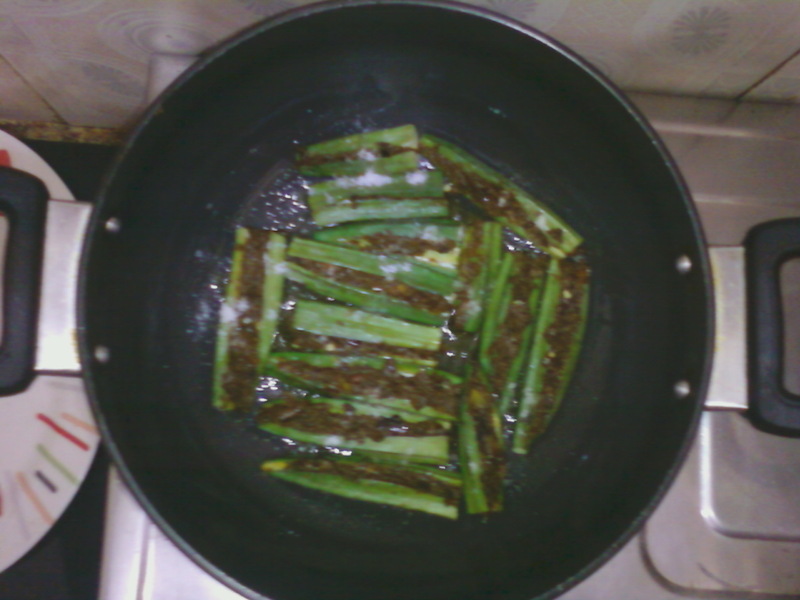 Cover the kadai and allow the bhindi to be cooked for 5 min.